Opening Prices: Ladies cut $15.00, Men's cut $12.00, Children: Up to 5 years old : $ 7.00. From 6 to 10 years old : $10.00. Boys over 11 years old : $12.00. Girls over 11 years old : $15.00. 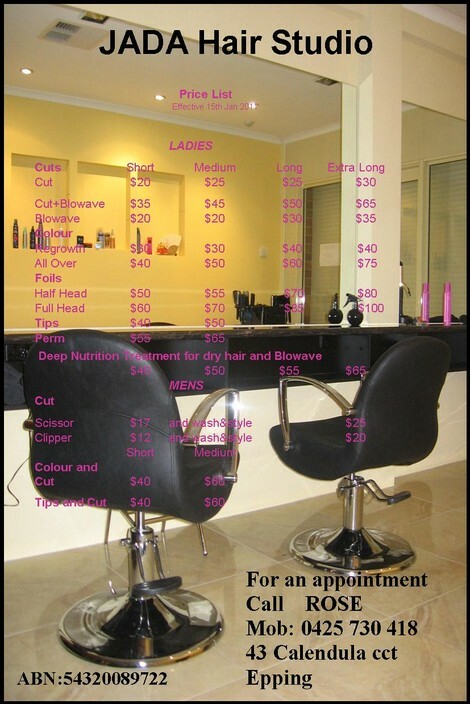 Perm, Colour, Foils or Tips all for good prices. Call Florence, on 90090885 or 0404950091. Salon Embrace hair and beauty offers many unisex services such as Hair cuts, Style, Colours, Blow-waves, intense hair treatments, Bridal/Formal hair up for any occasion, shellac and sns nail application, waxing and a 2hr spray tan. The Salon is located only minutes from Epping plaza. There is ample parking out the front and is easily accessible. 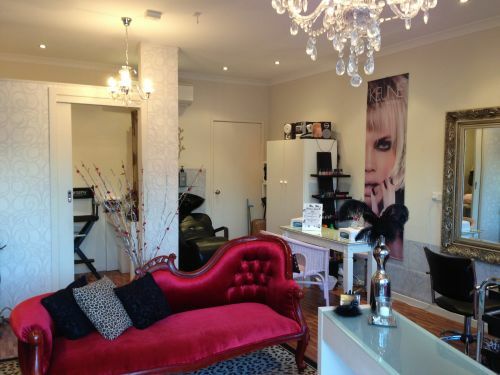 Salon Embrace hair & beauty specialises in Wedding hair and are available to do hair on location as well as in salon. With 10+ years experience and the newest in colour technology you are sure to leave our Salon feeling amazing. Whether your after a fresh new look ,instant long hair or straighten out those curls, we have all areas covered. Make overs , make up and shellac nails to make u feel amazing. Dry scalp in need of therapy? The new Clear Hair & Scalp Therapy? is the shampoo and conditioner for strong, beautiful hair from the scalp.